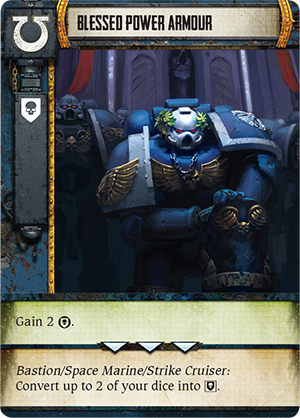 Fantasy Flight Games have announced Warhammer 40,000 Forbidden Stars, another game set in the Warhammer 40,000 universe and the latest in their collaborations with Games Workshop, and the game looks suspiciously similar to an old video game based board game. Forbidden Stars is a two to four player strategy game where players take on the roles of the Ultramarines, Iyanden Craftworld Eldar, Evil Sunz Orks or World Eater Chaos Space Marines. The game is played over the Herakon Cluster, an area of unexplored space previously blocked by warp storms. It’s hard to make out from the pictures on the website but it looks like the Herakon sector is made up of 9 modular board pieces. It’s not a Fantasy Flight Game without an environmentally damaging level of plastic in the box and it looks like Forbidden Stars is not going to disappoint. There are a host of new models representing everything from Wraithknights to Landraiders, and although these look like a similar scale to those in Chaos in the Old World I think Fantasy Flight’s moulding techniques have advanced as the model shown off at the GAMA trade show look very detailed. There’s something very familiar looking about Forbidden Stars, something about placing a stack of orders into a sector that looks suspiciously similar to Star Craft the Board Game. Star Craft is one of those Grail games; it was a highly rated, well regarded cardboard implementation of the RTS video game. However, shortly after Blizzard merged with Activision, the Starcraft and Warcraft licences where taken away from Fantasy Flight Games and given to Hasbro. Instead of well-crafted board games that matched the theme and mechanics of the video game, we got Star Craft Risk and Warcraft Monopoly (I think I’ve just been sick in my mouth). Now the game is out of print its popularity has soured as potential players either pay ridiculous prices on eBay for a copy or desperately try to find one for 50p at their local charity shop. 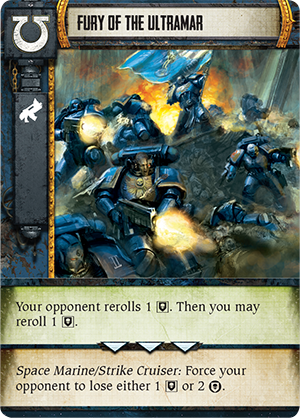 Although some of the terms are expanded and the rules tweaked, it does appear that Warhammer 40,000 Forbidden Stars is a remake of the Starcraft Board Game. In Starcraft players place build, research and mobilize orders which allow players to build units, acquire cards and move units around respectively, however in Forbidden Stars players can place deploy, strategize, and advance orders which allow players to build units, acquire cards and move units around. Forbidden Stars does introduce a new order in the form of dominate, which players can use to power up faction specific special abilities. The real tactical meat of both games is the manner in which orders are played by placing them on top of previous issued orders. These orders are then played out in the opposite order to what they were placed, making the timing of orders crucial to the flow of the game. Warhammer 40,000 Forbidden Stars is due for release in quarter three of 2015, which is corporate speak for “we’re going to release this at Gen Con”, well providing the US port authority plays ball that is. Will I be buying it? Of course I will. I’m a sucker for a Fantasy Flight Game with a Warhammer 40,000 theme, just look at my thoughts on Relic and Warhammer 40,000 Conquest and the hope that this is a re-issue of a high sought after game makes it even more appealing.